Last Wednesday, June 6th, we hosted a launch party at the pop-up shop in Brookfield Place. It was great to have so many of our friends and family came out, but for those of you that couldn't make it here’s a little recap of the night’s events! We closed down the shop early and set up the bar just as the guests started to arrive. Friends of Fair Harbor stopped by to show their support along with some loyal customers that had heard about the event. It’s no secret that all of us at Fair Harbor love a good happy hour, so we made sure to stock up on beers from Cisco Brewers and rosé for everyone to enjoy. SkinnyPizza, who is also in Brookfield Place, provided us with some thin crusts pizzas, which helped everyone’s post-work hunger. Looking around the party, it was easy to tell how much fun people were having and how proud Caroline and Jake’s family and friends were of them for how far Fair Harbor has come. Until the opening of the pop-up shop, Fair Harbor had been predominantly sold online, so hosting the launch party was a great way for everyone to come check out the swimsuits in person. This has been the first place where people can finally interact and engage with the products in person -- feeling the fabrics. seeing the patterns and trying on the suits.  We were also able to show a little bit of Fair Harbor in NYC, by incorporating a lifeguard stand, outdoor shower dressing room, and surfboard desk -- just to name a few. This unique pop-up space was designed by a extremely talented family friend, Chris Antista. All hand-built, our space is definitely a labor of love. So if you are in the New York area, and haven’t been by yet, come stop by -- even if it’s just for a beer. Every Thursday we’re doing Happy Hour starting at 6p. With the weather starting to warm up and the official start of summer right around the corner it was the perfect opportunity to have some fun and shop at the same time. Overall the launch party was a total success and we are so grateful for all our amazing family and friends for showing their support!